This is the last book of C.S. 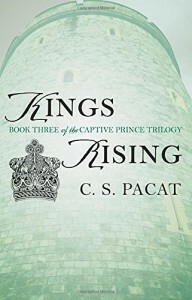 Pascat’s Captive Prince trilogy. 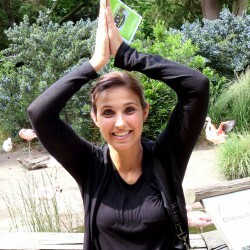 I was very nervous when I started this book because the reviews where very mixed. A lot of readers were disappointed with this last installment and I didn’t want to ruin this amazing series with a bad last book. I shouldn’t have worried. I LOVED this book! I loved it so much. The story was great, the ending was great. It was all I hoped for. I absolutely love the main characters Damen and Laurent, especially the dynamic between them. A lot of readers complained the characters had changed and weren’t behaving according to their character traits in the first two books. I don’t agree with them. I read the first two books at the end of last year and to me every behavior in the last book made sense. Maybe some of the readers who had read the books some years ago had just developed a dream version of the characters. That’s something that quite often happens when there is a lot of time between books. So in the end I can say that I absolutely love this series. I’m glad I stumbled upon it last year. My only complaint would be that I want to read more about Damen and Laurent. I crave so much more. I need more!